Information on UTOPiAfest 2017 Promo Code Discount Tickets Utopia Texas. 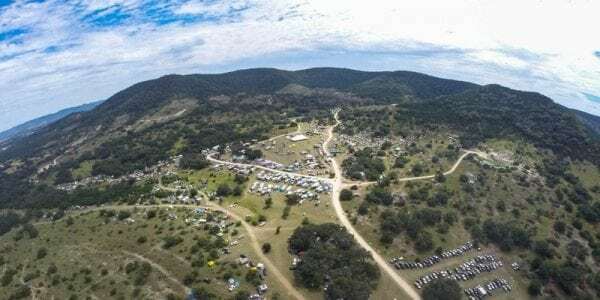 One of the biggest camping festivals held in Texas, Utopia will be celebrating its 9th annual Utopia and also the last time at Four Sisters Ranch, a natural 1,000-acre amphitheater (between Garner State Park and Lost Maples). This festival date is September 22 and 23 (pre-party the 21st). Utopia Event Location will be at the Four Sisters Ranch in Utopia, Texas. This ranch is over 1000 acres and has been home to Utopia Fest since the beginning. This is an aerial photo of Four Sisters Ranch when Utopia is happening last year. You can see how large Utopia Fest really gets. Big part of Utopia is camping. Its a camping festival in Texas. Many go here with their families for the whole weekend and stay in RV’s, tents and enjoy the many festivities of Utopia Festival thats happening in September 2017. Book Transportation to Utopia Fest. Buried in the heart of Texas this festival is right outside of San Antonio. Book a sedan, limo, mini bus, charter bus and get everyone there fast and cheap. 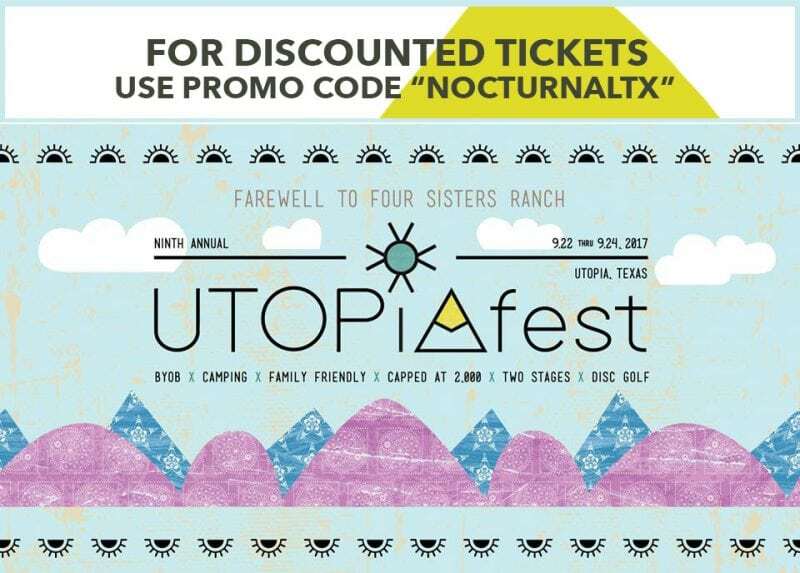 Use discount code NocturnalTX when you book with www.sanantoniolimorental.service and get a discount car transport to Utopia. 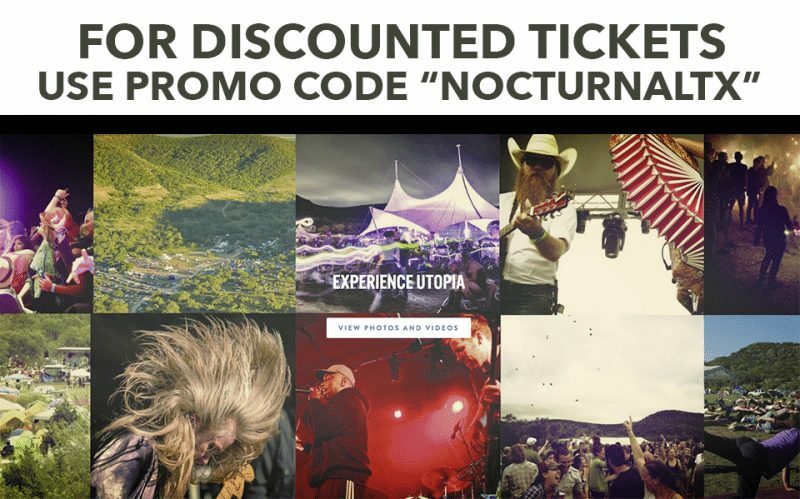 Promotional Code VIP Utopia Tickets are available with our discount code NocturnalTX as well. Be sure to book VIP discounted tickets for Utopia 2017 before they sell out. Uptopia Texas 2017 Tickets Discount Promo Code Batty Jr.